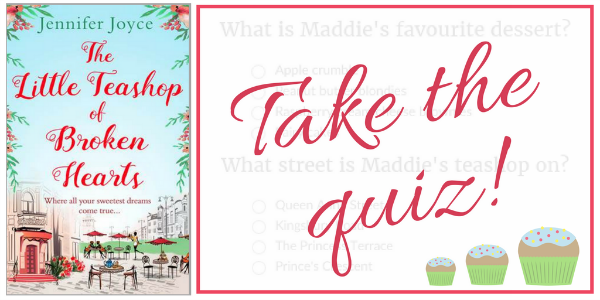 If you've read The Little Teashop of Broken Hearts, you can now take the quiz over on Goodreads! Can you remember Maddie's favourite dessert? How much do you remember about The Builders? And what about Birdie's adorable French bulldog? Put your knowledge to the test and let me know how you do, either here on the blog, on Twitter or on my Facebook page.